Awhile back when I was painting my rotors as normal I inspected my brake pads and was shocked to see that my front brake pads were CRACKED. 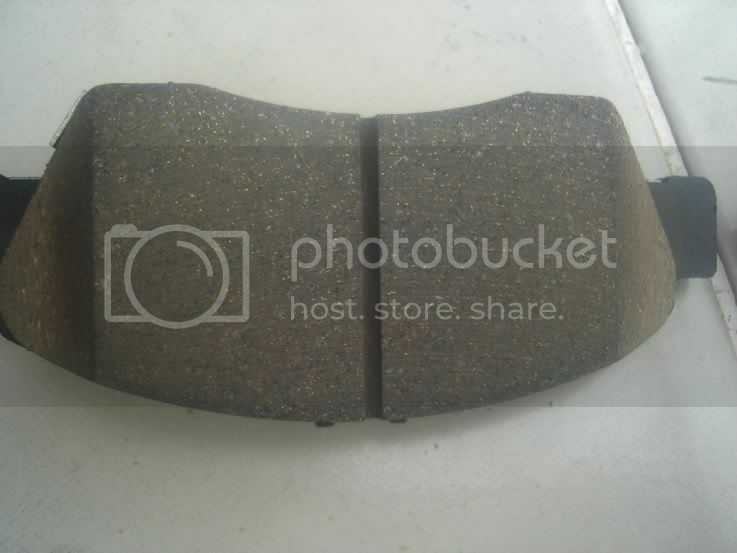 Nice new brake pad set and it looks like Honda was aware of the problem as they have done a fix by having a line built into the pad to prevent cracking. They crack under fairly normal use I drive hard but not too hard and it was every front pad, left, right, inner and outer all of them. 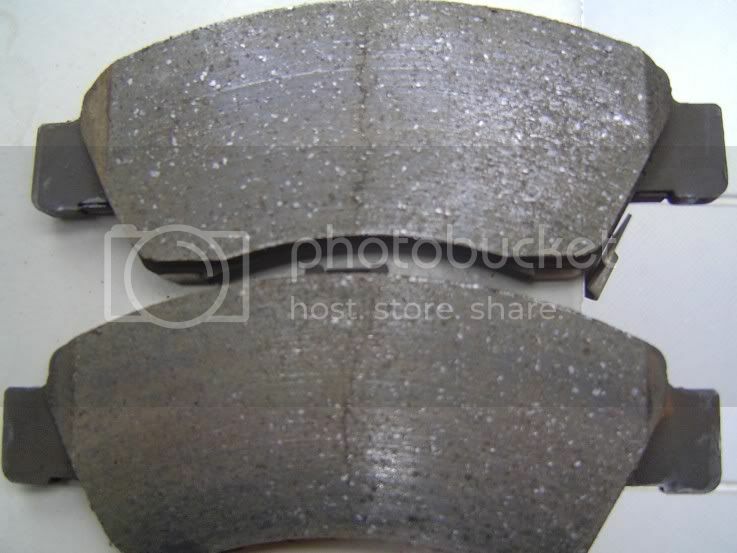 I'm pretty sure that they crack because of a bad design on most one piston disc brake vehicles. If you look closely at most one piston disc brake setups you can see that all pads are fairly long and are only supported on the far ends by the pad housing and then the piston if forced against the unsupported middle of the pad and it has to bend a bit. 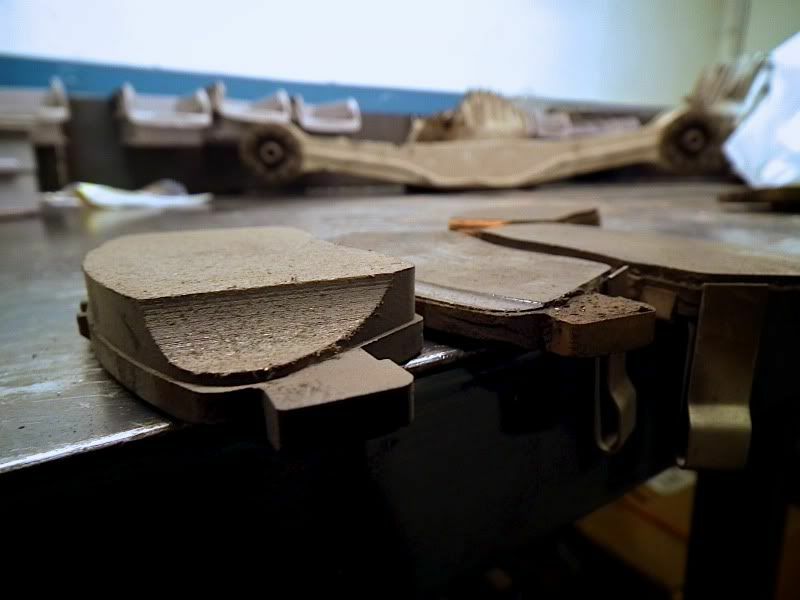 That puts pressure on the braking material and it has no choice but to crack UNLESS you relieve the pressure but cutting some of the material away which Honda has done on their replacement pads. So the moral of the story is to check your pads when you have the wheels off and check for cracking. Then if you replace the pads with new ones and make sure they are the newer relieved ones with a line down the center. Last edited by claymore; 07-17-2009 at 01:22 AM. I'll check mine out next tire rotation.... I guess I will have to decide what color paint to buy as well......Does anyone have any insider information as to what color paint will make my car go faster, stop faster or attract pretty women??? I sure don't, but damn, good luck!! And it looks like Honda USA hasn't got around to making new pads with the groove in them.